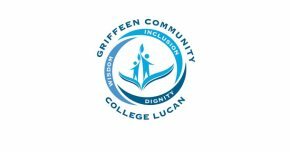 Griffeen Community College (GCC) is a new mainstream, co-educational, multi belief post primary school serving the Lucan area. We are privileged to be under the auspices of Dublin & Dun Laoghaire Education & Training Board (DDLETB) in partnership with Scoil Sinead. Our website offers you the opportunity to find out about life in our vibrant new school – about our ethos & background, subjects, extra–curricular activities, what’s on and much more.